The news about the day in court for two chimpanzees (see Animals in Court) coincides with the story of 66 chimpanzees being abandoned in Liberia. These chimpanzees had been used by an American company but have been left behind to fend for themselves. “This year, the New York Blood Center (NYBC) abandoned more than sixty chimpanzees that it had used in research and testing for decades. These animals, located in Liberia — a country on the west coast of Africa — are now in danger of dehydration or starvation and need our help. In the 1970’s, NYBC worked with the Liberian Institute for Biomedical Research to create Vilab II — a laboratory that obtained and bred chimpanzees for use in research and testing. 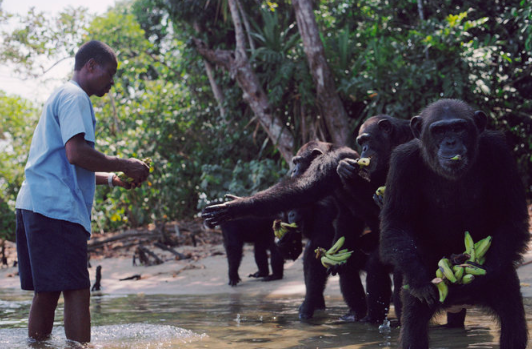 Once NYBC decided that the chimpanzees were no longer needed for research, it was determined that they would be permanently retired on islands near the lab in Monrovia, Liberia. The chimps still live there today and are completely reliant on humans for their survival, as there is no natural fresh water supply throughout the year, nor enough food. Different counties, different traditions. 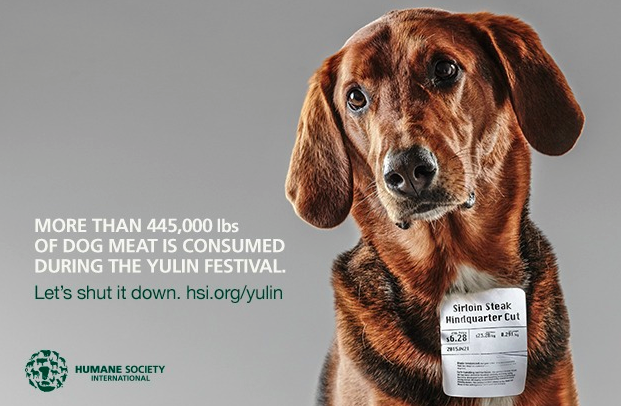 In the southern part of China each year the Yulin Festival is being celebrated and its main food is dog meat. Does this make the Chinese people savoring this food any worse than for example the visitors of the Virginia Pork Festival? Or the Main Lobster Festival? The Harrod Beef Festival or the Tunarama Festival in Australia? The world would be a better place if all these festivals could be changed into something more humane. It seems as if the poorest people and places often get hit the hardest. It also is good to see the international community coming together in such an emergency. Many countries have sent or are sending out disaster relief teams. Some might think that a time when human beings are in such dire straights the time is not right to think about other beings. But some also believe that everybody, humans and other beings alike, need help and that empathy can be shared. If you thought seals would be safe this year since there are hardly any states left that would import the skins of baby seals, sadly, this is not true. 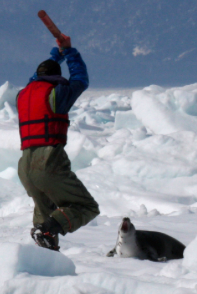 Canada has – again – allowed the killing of seals for their white fur. And clubbing them to death is the method of choice to preserve the pristine quality of the animal skins. “Right now, we are flying off the coast of Newfoundland, ready to document, as fishermen shoot and club these helpless seal pups to death for their fur. Must Beauty and Cosmetics Equal Animal Torture? No! More and more countries are rethinking their policies on testing products, whether old or new ones, on animals. This is leading to changes in the law – luckily in favor of the animals. 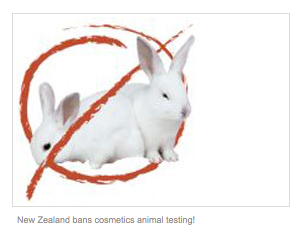 The European Union – all 28 countries – has banned testing on animals for cosmetics. And more are following suit. 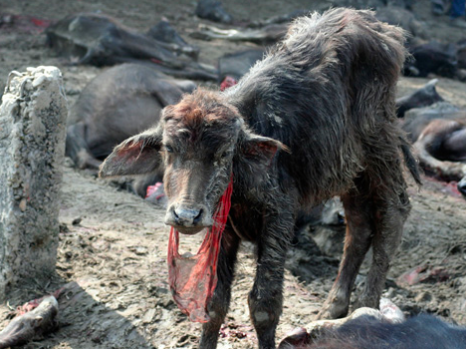 Thank you to all of you who have spoken up against the blood bath in Nepal. 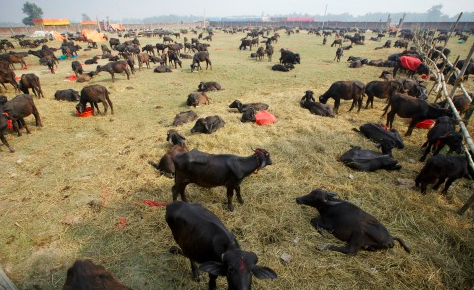 The mass slaughter could not be stopped, but many animals were saved due to public outcry. Almost every religion has some kind of torture, sacrifice and killing of animals laid out in their scriptures. No one should discriminate against any of these religions or people of any faith. Any changes should come from the inside, the people involved, not from the outside, claiming to know everything better. This usually only leads to more tensions, hardly getting anyone to help. Helping those willing to change is of the essence here, and in almost all religions there are those willing to help change traditions that hurt others. Please speak up for the animals, not down on people of another faith.